As we return after break over the holidays, we think it is important to look back at our successes over the past year and celebrate our achievements as individuals and as a club. Lauren, Jess and Mia have all well and truly deserved the success of obtaining their black belts this year. All three of these girls have shown dedication, commitment and put in 100% effort to keep progressing through the belts. It is not an easy journey to obtain a black belt, and the main lesson to learn is to keep going, especially when you don’t want to! As a club, we are proud of all our students and confident in the knowledge that each and every one of them has worked hard to get to the level they are at regardless of the time it takes to get there. In general, as a club, we haven’t been attending competitions as a whole, and this is something we would like to expand upon in the New Year, especially now having access to national competitions and events. It takes a lot of confidence to get on the Tatami in front of hundreds of people, and this is considered an accomplishment in itself. James, Mia and Lauren are the students in our club that have attended competitions this year, each winning at least one medal!!! Whenever the club take part in fundraising, we are proud to split any donations into thirds supporting two local Charities. These are First Responders and St Michael’s. We held a barbeque at the Chineham village hall, with thanks to all the students and families to help make the day successful (special mention to Chef Carl), and would like to hold more fundraisers throughout the next year, any ideas are more than welcome or any events we can help support, please let us know! 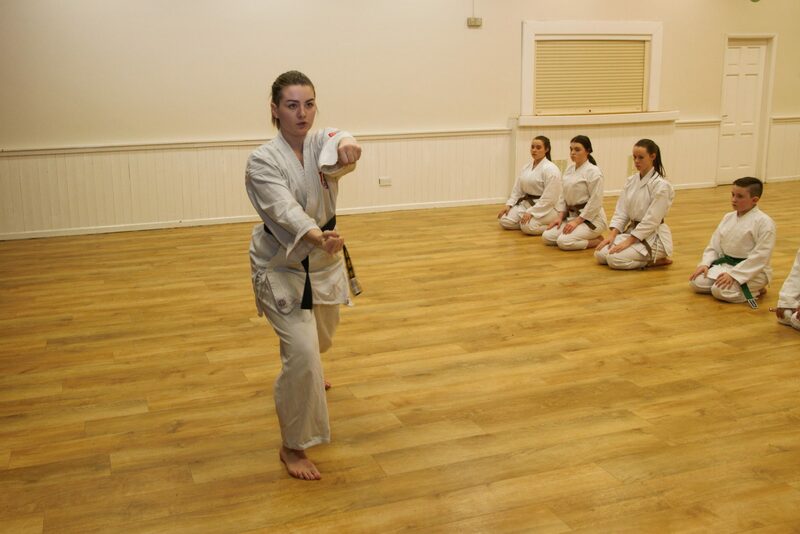 The club enjoyed a weekend seminar with Sensei earlier in the year. This is a very special privilege and every student came away learning and improving on technique, attitude, and how to have fun! We look forward to a grading in March and the continued success of our students!